Alien Sun Clock screensaver lets you take a look at the Sun through the eyes of a friendly alien! 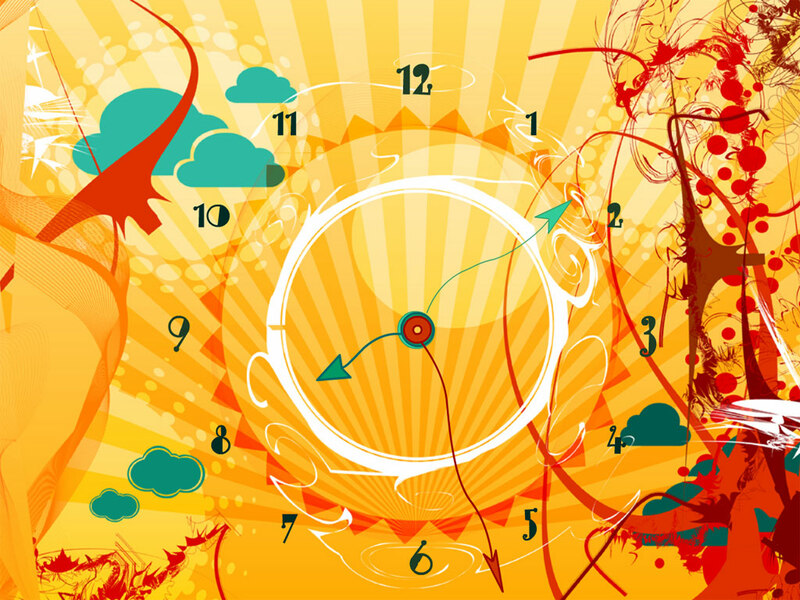 Alien Sun Clock Screensaver lets you look at the usual things in a surprisingly new way. Sometimes it just feels like trying something new, something different. If you are after some changes, Alien Sun Clock Screensaver will provide you with a fascinating experience of the alien vision. Now you can see the Sun and sky through the eyes of an alien right from your desktop. The warmth of this radiant and extraordinary screensaver will make your mood joyful. 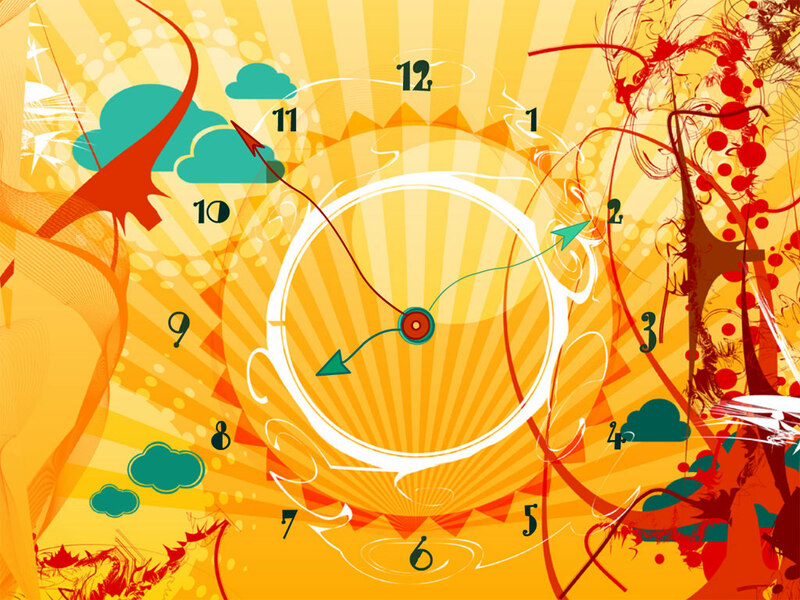 Alien Sun Clock Screensaver decorates your desktop with a fascinating assortment of vivid colors composing a new image of the Sun. Near the sun there are gently floating clouds and the background is composed of all sorts of intriguing objects, some resembling grass and leaves, some looking like nothing on earth. And you can see narrow beams of light coming right upon you from the screen. Within the transparent sun, you can see a fancy-looking clock. Their curved design and differently colored hands make it look classy and cheerful. Every time you need quick refreshment, this lively screensaver will help to empty your mind and prepare yourself for further productive work. Brighten up your desktop! Download for Mac OS X Free! 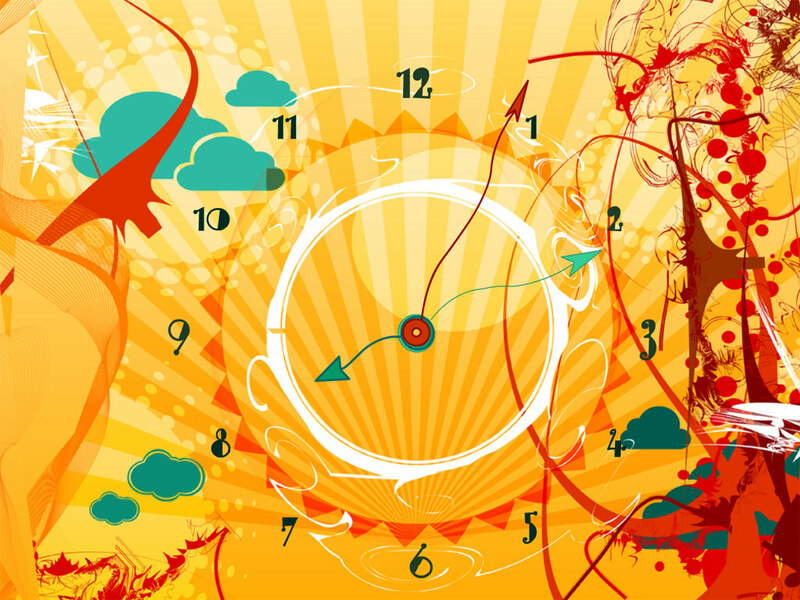 We used to think that Clock is just a time-measuring tool. Ingenious Alien scientists created Interstellar Time Factory aimed to produce the time of the highest quality. It was launched into space and reached our Solar system. While it's orbiting our planets we have a unique chance to enrich our life with much more happiness. All we need is just to live every moment to the fullest extent.